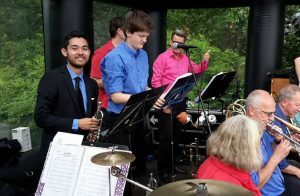 BigBand Sound of Science is de bigband van Wageningen Universiteit en Researchcentrum. 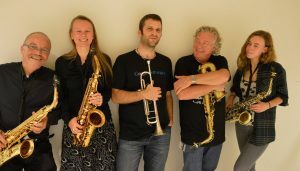 Deze band bestaat uit medewerkers en studenten en speelt swingende jazz, blues, funk en latin. 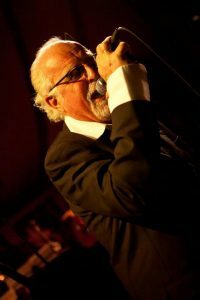 Ook speelt Sound of Science specials van bijvoorbeeld de Blues Brothers of Brian Setzer, filmmuziek van Nino Rota en er is zelfs samengespeeld met een heimachine. Onder de inspirerende leiding van de professionele dirigent Guus Tangelder treedt BigBand Sound of Science op tijdens festivals, congressen en andere evenementen. 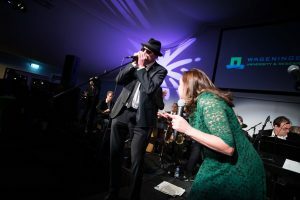 Voorbeelden hiervan zijn het RhineTown Jazz Festival in Wageningen, het internationale congres Chain Agrifood in kasteel Doorwerth, officiële openingen van nieuwe gebouwen op de Campus van Wageningen UR, het openingsfeest 100 jaar WUR en een optreden met dwarsfluitlegende Thijs van Leer in het Musis Sacrum in Arnhem. 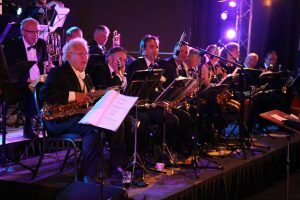 BigBand Sound of Science maakt van iedere gelegenheid een swingende gebeurtenis! 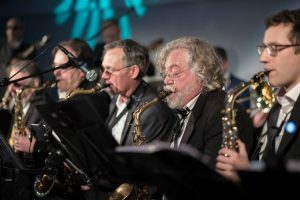 The Bigband Sound of Science is the flagship jazz ensemble of Wageningen University composed of University staff, students and alumni. Started in 2003 as a coffee machine initiative of a few grass root musicians of the Environmental Science Group, the band evolved into a swinging group of scientists playing a variety of Jazz, Latin, Swing, Blues and Funk music of world famous artists like Stevie Wonder, Herbie Hancock, Michael Bublé and Amy Winehouse. 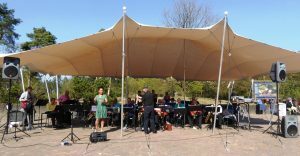 The band performs at events in and outside the University Campus, recently bringing the complete University community into a state of ecstasy at the opening of the 100-year anniversary of Wageningen University. In a series of festivities the Bigband also played a special composition together with the swinging bells of the newly inaugurated bell tower at the anniversary closing ceremony. 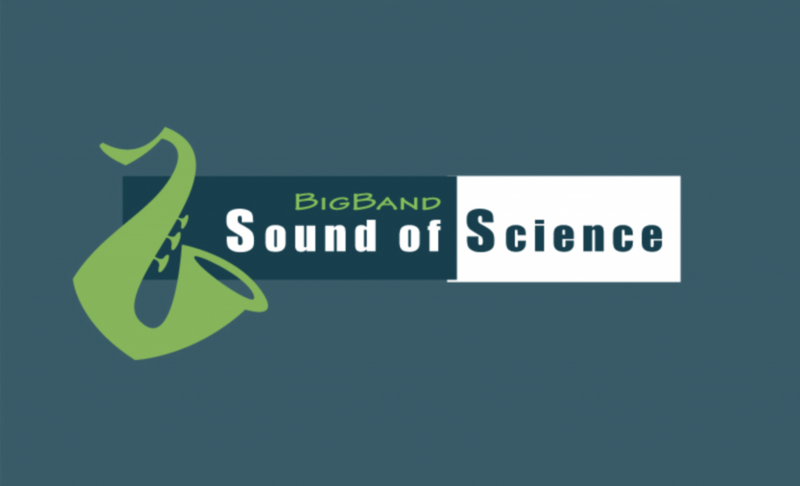 BigBand Sound of Science turns all activities into a swinging event! Feel free to contact us for more information. 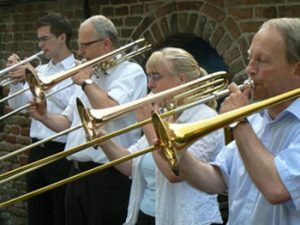 Heb je interesse om mee te spelen met de bigband? 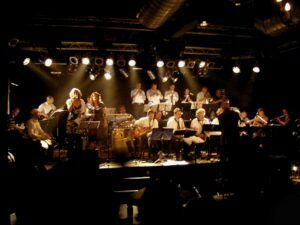 BigBand Sound of Science repeteert iedere dinsdagmiddag om 17.30 uur. Kom gerust een keer kijken of neem contact op voor meer informatie! BigBand Sound of Science rehearses every Tuesday afternoon at 17.30 uur. Come watch or contact us for more information! 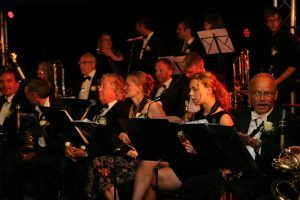 BigBand Sound of Science treedt op tijdens bedrijfsfeesten, festivals, symposia, congressen, diners en feestelijke openingen. Zoekt u een muzikale aanvulling voor uw evenement? Graag wisselen wij met u van gedachten over de mogelijke invulling hiervan. Neem vrijblijvend contact met ons op! 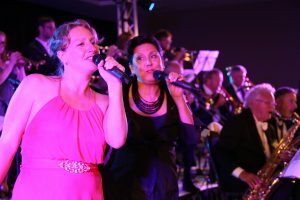 BigBand Sound of Science performs at festivals, conventions and grand openings and will create the perfect mood for your corporate functions, events and parties.